This airy single family home with 4 bedrooms and 2 bathrooms. Located near Disney and many more fun activities for all! 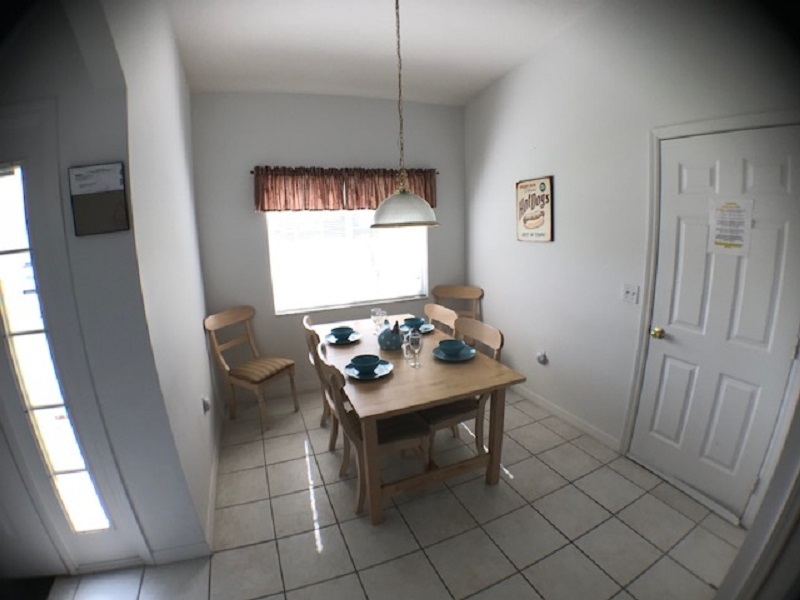 Very clean, spacious, comfortable, and fully furnished! 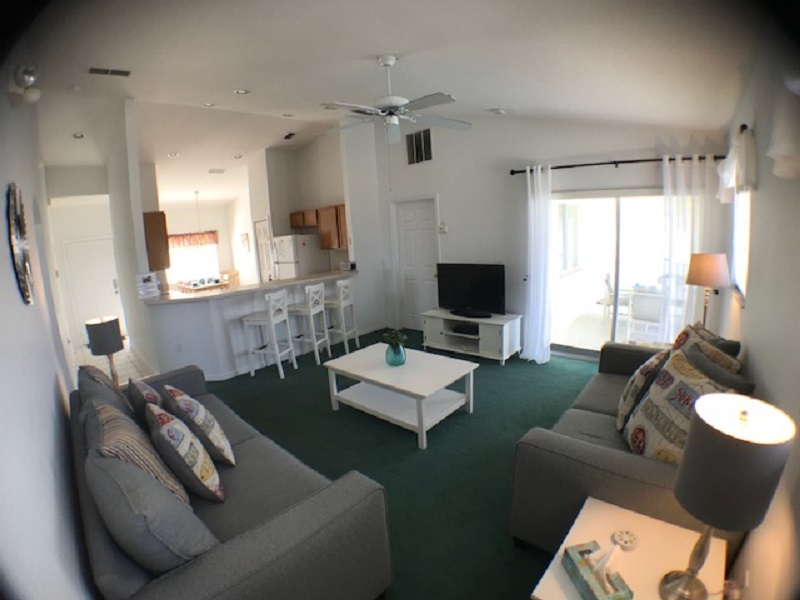 Including Cable TV, Free WI-FI, phone, dishwasher, Washer - dryer, and a private swimming pool! This home comfortably sleeps 8 people. the villa is ideal for Family getaway! This home is located on a small sub-division 20min drive from Disney and 40 min drive from Universal Studios. The home offers a Living Room with newly updated furniture, 3 Seater Sofa and a two seater Love seat and a large Foot Stool. There is a large Flat Screen TV. There is pool access from the living room. 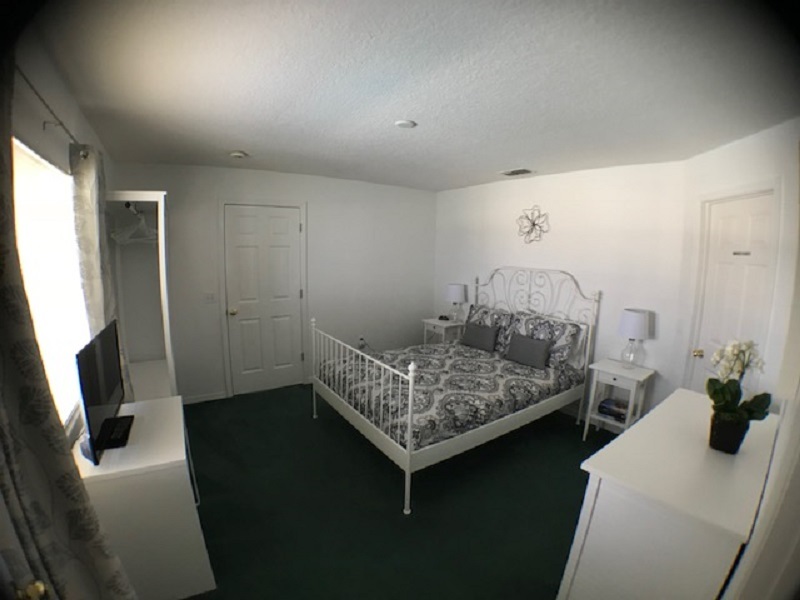 The Master Bedroom is located off the family room and has a Queen size Bed, TV, en-suite bathroom with walk in shower, Toilet, Sink, there is also pool access. 2nd & 4th Bedrooms have 2 Twin beds in each of them, wardrobe, TV. 3rd Bedroom has a Full Size Bed, wardrobe, TV. Family bathroom is located between 3rd & 4th bedroom, and has a Garden Tub with overhead shower, Toilet, Sink. 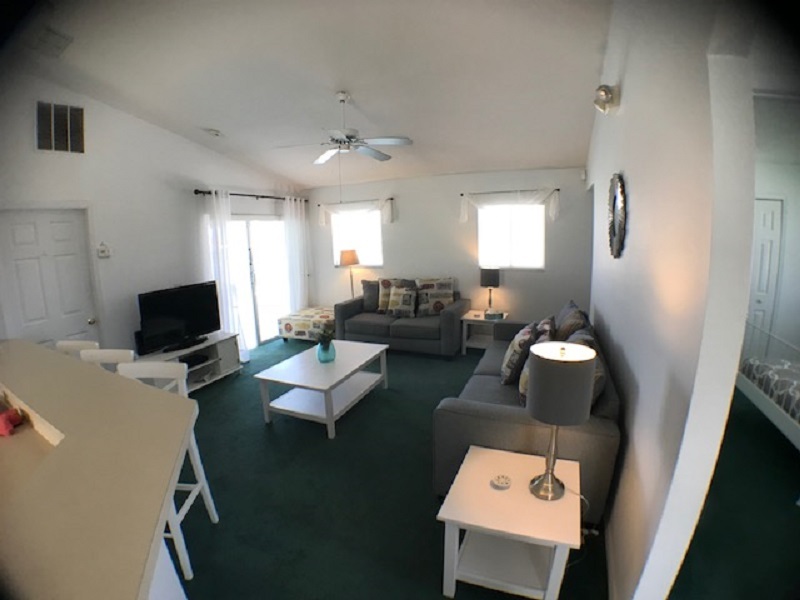 All bedrooms include a TV with Cable, there is also a larger TV in the Living area. The home also has Wireless Internet & free local calls. The kitchen is fully stocked with plenty of Dishes, Pots & Pans. It also has a coffee maker, toaster. Pack N Play there for your convenience. The pool area has a covered lanai with a table and 4 chairs, there are also two loungers for those sun lovers. The pool can be heated for an additional charge. Please note this is a self-catering home, only an initial supply of soap & toilet paper will be provided upon check-in you must purchase any additional you may need during your stay. The home will be cleaned before you arrive and when you leave. Pool heat is optional at $25/day, with a minimum of 3 Days. Gas Grill Hire is available for this home $50. 'Hillcrest' is ideally suited for all the Central Florida attractions. It is only 15 minutes from Disney and close to all the other theme Parks - Universal, Seaworld, Wet 'n Wild. The Space Coast and Kennedy Space Center Visitors Complex are only about an hour away and the Fabulous beaches of the Gulf coast just over an hour. Nice, basic place, great value. Easy to find and accessible. Close to stores, restaurants, etc on Hwy 27 and Hwy 192. It is a little far from the parks -- 15 minutes best case, up to 40 minutes at park close with lots of traffic. Home was nice enough and well stocked with dishes and everything needed.